welcome to Asklepios Klinik Lindau. We are delighted in your interest in our clinic. At Lindau, we have great experience in providing the highest standards of medical expertise and healthcare to all our patients for more than 100 years. Opened in 1915, our clinic has a long history in health care. We are proud about more then 100 years of medical tradition and innovation. Today we offer state-of-the-art treatments to more than 16,000 patients a year. With 6 departments, 110 beds and some 300 employees, we are dedicated to ensure our patients receive the best treatment possible in a familiar and pleasant environment. Also, Asklepios Klinik Lindau has been granted numerous certifications for its high medical, technical and organisational standards, including the highly demanded „EndoCert“ certificate for the joint replacement and reconstructive surgery of our orthopaedic department. Please refer to our brochures for an overview of the wide range of treatments and services provided by our clinic. Your accommodation will be a private single room in our Privita Comfort Clinic. This small and personal unit within the hospital offers you exceptional services. It meets the highest demands in features and furnishings with its generous and elegantly equipped superior rooms in preferential locations. The room plans integrate a patient room, living area and office and ensure that, this way, you feel as if you are in a comfortable hotel. In some of the rooms we can also offer you your own balcony. Recuperation in a discerning atmosphere – that is the spirit of the Asklepios Privita Comfort Clinic Lindau. Our clinic combines outstanding medical services with top quality facilities and first-class service. It is our desire to enable you to have a comfortable and trouble-free stay at our clinic. Our five-star quality standards ensure that you enjoy comfort and privacy with us in equal measure with the medical and personal care of our experienced personnel. Our location is unique: A historic island with unmistakable charm, surrounded by a crystal-clear lake and lush green countryside. And a chain of usually snow-covered mountains raises itself in the background. Pleasure boat trips will take you on excursions across the lake to the flower-bedecked island of Mainau and to the Rheinfall waterfalls in Schaffhausen. Plan an excursion to the nearby Alpine countries of Switzerland or Austria with attractions such as the Appenzeller Land and the eagle observatory on the Pfänder Mountain. Discover the special attraction of the Dornier Museum and the Zeppelin Museum in Friedrichshafen or the rustic charm of the Hops Museum in Tettnang. Enjoy the atmosphere on a stroll through the historic district of Lindau on Lake Constance or experience the Bregenz Festival in high summer – a special event by the lake. Each breath contributes to recovery here. 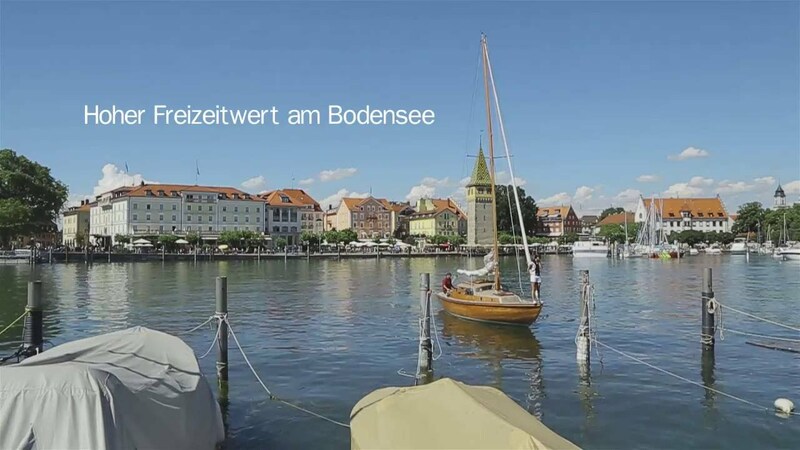 Located in a triangle of three major international airports at Stuttgart, Munich and Zurich, Lindau can easiliy be reached by car or by train from one of these locations. Also, a regional airport in Friedrichshafen is only about 20 car minutes from our clinic. A taxi rank and a bus stop of Lindau city bus are located directly at our clinic, which you and your accompanying person may use at any time. Do speak to us if you would like an accompanying person to be admitted. Our patient management personnel are available to answer all questions regarding reimbursement of costs and the admission of accompanying persons. We are happy to assist if you are interested in treatments at Asklepios Klinik Lindau. In order to give the best possible advice to you, we require detailed and current medical documentation. These can be either in English or German and you are welcome to send these by Email, fax or by post. Once our specialists have reviewed your documents and/or have spoken to you in person, we will be able to advise you about the most promising treatment possibilities. We will provide you a non-binding cost estimate before your stay in our clinic. This will include details on medical treatment, duration of treatment as well as accommodation for you and your accompanying person. All treatment costs are to be paid in advance. To help you organise your stay in our clinic, we can gladly put you in touch with one of our cooperation partners. Our partners are there to offer advice and support in arranging travel, handling visa issues, locating hotel accommodation for people travelling with you, coordinating your treatment appointments and they also have interpreters familiar with medical procedures on hand.